As part of ongoing efforts to improve communication between Safe States Alliance members, the Safe States Alliance Exchange Forums will be exclusively used for a variety of communications formerly handled by the Safe States Alliance Info email system. 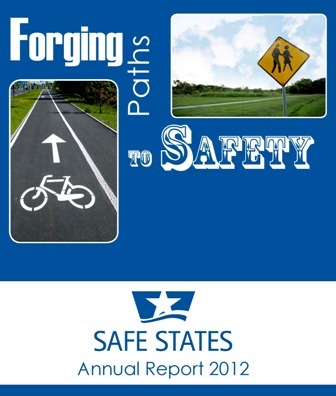 The Safe States Alliance Exchange Forums are a part of the Safe States Alliance Exchange – a service designed to link members as they share ideas, knowledge, experiences, and resources. And as always, members can also use the Exchange Forums for Safe States Alliance-related discussions or to communicate Safe States Alliance-related information, such as proposals for resolutions and prospective books to read for the Leadership Book Club. In order to have this information communicated to all Safe States Alliance members, however, it must be posted directly on the Exchange Forums. While Safe States Alliance Info may still be used to notify members about new Exchange Forum postings, as of this date the Exchange Forums will be the primary method by which Safe States Alliance members can communicate the above information to other members. The Exchange Forums can be accessed by clicking on “Participate in the Exchange Forums” under "Safe States Alliance Exchange" on the homepage. You can also reach the Exchange Forums by visiting http://www.safestates.org/forum.cfm. You will be prompted for your User Name and password. Under “Discussion Thread Title” you can write the subject of the posting (e.g. “CDC Job Announcement: Division Director”). Under “Discussion Thread Message” you can write the main text of the information you want posted. Members can also respond to you directly as long as your contact information is provided in the “Discussion Thread Message” area. To receive notification of responses to your forum posts (or any forum posts), you will need to edit your forum preferences. You can edit your preferences by clicking on "Preferences" above the topic threads or by visiting http://www.safestates.org/forummemberprofile.cfm. By selecting the "All" option, you will receive an e-mail notification every time a message reply is posted or a new discussion thread is created. Selecting the "None" option will prevent any notifications from being sent when message replies or new discussion threads are posted. If you want to receive notifications for only certain discussion threads within the topic, select the "Threads" option and a new window will open allowing you to select what current threads you would like to receive notifications for when a new message reply is posted. You can modify your discussion thread selections at any time by clicking the "Threads" option. If you post a message, you can also select to receive an automatic email sent to you anytime someone responds to your posting. If you have any questions about the Exchange Forum, or would like to propose ideas for new forum topics, please contact Jamila Porter at jamila.porter@safestates.org.